Honestly, it’s a difficult question to answer since it all comes down to personal taste and opinion. I do have a few guide rails that I use when providing an answer, so I’ll walk you through those here. Who’s Gonna Be the Star? First off, which do you want to be the star of the show? 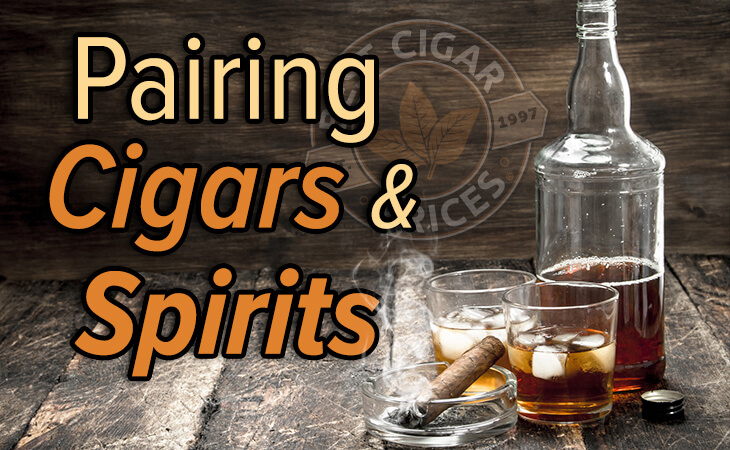 Is it the cigar, the spirit, or do you want them to play equally off of each other? The reason that I ask is that if I’m smoking something with a lot of rich, nuanced flavor like the Padron 90th Anniversary, I’m probably not going to pair it with an overly potent bourbon like a Wild Turkey 101. In this case the cigar is the “star”, and I need a spirit that won’t overpower my senses. Going the opposite way, if I’m pouring a glass of something very refined like Pappy Van Winkle, I’m probably not going to smoke an Opus X which would clobber the flavors of this fairly gentle bourbon. Once you have this question answered, then you can start figuring out where you want to go next. To me, this is hugely important and it takes a little bit of research or just some domain knowledge of the product to help align the flavor profiles. Back to our first example, let’s say we’ve chosen a Padron 90th Anniversary. If you have had one before you know they can be a bit spicy with some hints of leather and cocoa in them. 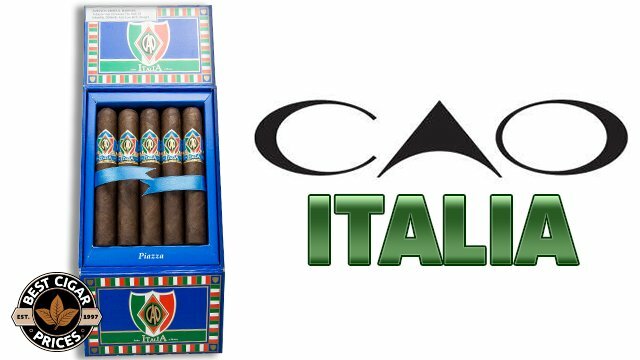 But, even if you haven’t had one, you might know that these cigars are primarily grown and made in Nicaragua. As a very gross generalization, most Nicaraguan cigars, especially Padrons & My Father cigars, have a fairly spicy flavor profile. Using that basic familiarity, I’ve got to decide on whether I want to compliment or contrast this flavor profile. Do I want to stack spice against spice or do I want to go with something that is a little bit sweeter to offer some relief against the spice for my palate so that I don’t have to go running to the fridge to pour a glass of milk? The best answer is to experiment with both sides and see what you prefer. My personal preference is to contrast each other. A “Clash of the Flavors,” if you will. 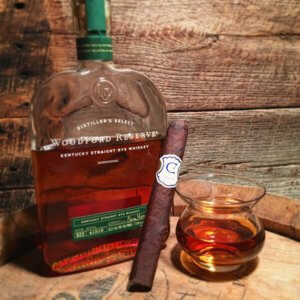 I love pairing a nice sweet bourbon, particularly Blanton’s Single Barrel or E.H. Taylor Single Barrel, with a fairly spicy cigar. These bourbons can stand up to the spice yet offer a nice bit of caramel mouth coating to lock in both flavors. That’s what I’m really looking for here. Better yet, in order to push the sweetness even further I would go for a sweet dark aged Rum! Diplomatico, Appleton Estate, and others are great rums that pair exceptionally well with spicy cigars. In fact, that’s probably what you’ll find is the drink of choice in Nicaragua, specifically the Flor de Cana line of rum. However, if you want to go the opposite way and pair with compliments, that can certainly be done as well. The biggest thing to think about here is how you can avoid overwhelming your senses and ruining the pairing. 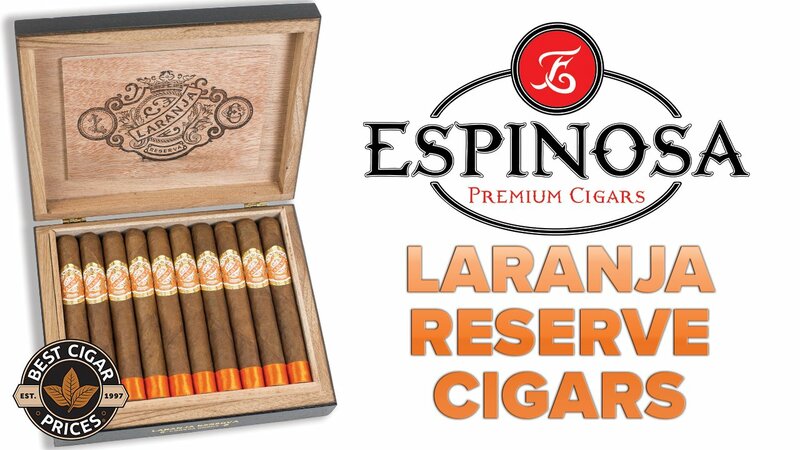 Think about this for a minute – If you were to sit down with a very peaty Scotch, something like a Laphroaig and you stack that up against a Drew Estate Fire Cured MUWAT – Wow, that’s gonna be a whole lot of smoky tastes going on in your mouth at once. Chances are you’re not going to enjoy that. However, if you do, then by all means you do you, boo boo. I remember one time I tried an Acid Deep Dish and a glass of sweet Pyrat rum and holy smokes! There way too much sweetness going on there. I do think there is an approach that offers a compliment to both flavor profiles that doesn’t overload the system though. 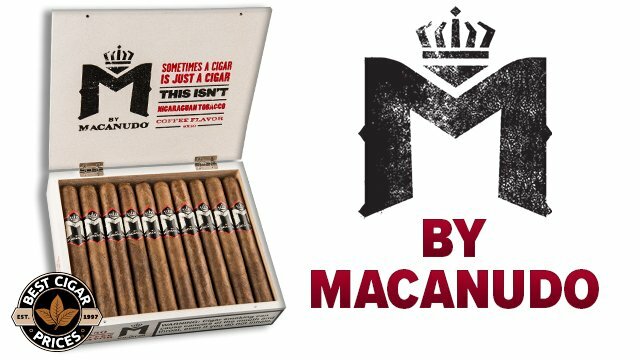 First, find a cigar that has a very well-balanced profile and offers a little bit of both spice and faint notes of sweetness. My go-to for this would be Crowned Heads Headley Grange, one of my all time favorite cigars. Then, look for a spirit that offers a primary note of spice but backed up with some sweetness to calm it down. This is particularly easy to find in the bourbon world as there are several that fit this description. What you want to look for is a bourbon that has a higher rye volume in the mash bill (recipe). The higher rye content provides an added level of spice, but not quite as much as a true Rye whiskey (the difference being that a Rye whiskey has at least 51% rye grain in its recipe). 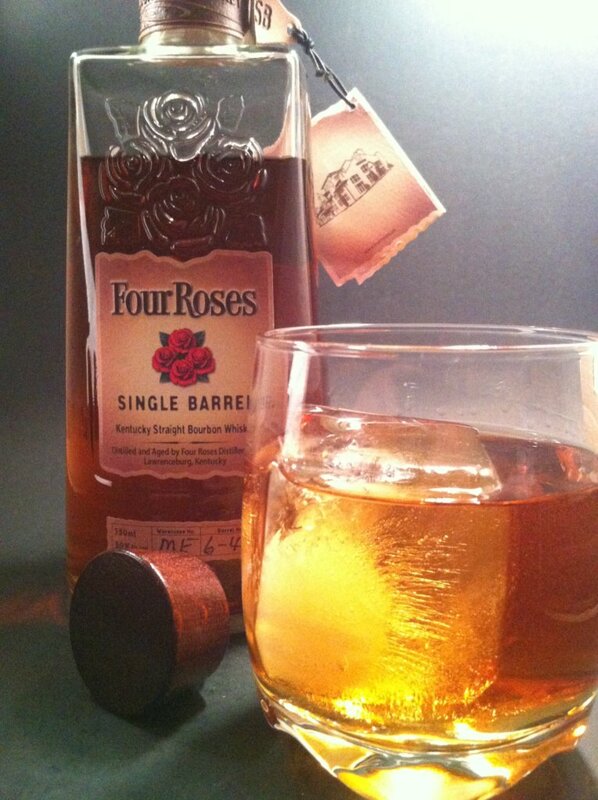 To me, one of the best choices for that category is the Four Roses Single Barrel. It’s also very affordable at around $35 – 40 a bottle and can be found nearly everywhere. This is my go to bottle of bourbon when I’m looking to pair any cigar. One of the last things I think through is the overall strength of the pairing. This kind of ties back into the first idea of “who’s going to be the star”. Again it take some base knowledge in both cigars & spirits to get an idea here, but that’s what experimenting is for! I know that there are some cigars that are just stronger than others. I know there is no official rating scale for “strength” in cigars, but typically I gauge this by how much of a nicotine buzz a particular cigar gives me. Ten out of ten times an Opus X or a La Flor Dominicana will give me one heck of a nicotine buzz. There must be something going on down there in the Dominican Republic that they’re not sharing with us! Knowing that, I’m not going to stack one of those cigars up against Wild Turkey 101 or a higher proofed whiskey. I’m going to look for something in the mid 90 proof range. That’s just my personal preference. It keeps me from getting too goofy while I smoke and certainly cuts down on the headaches the next morning. 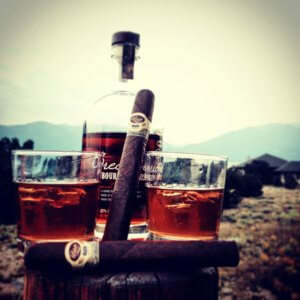 So if you have a cigar that is known to be strong, I suggest you pair it with a weaker spirit. 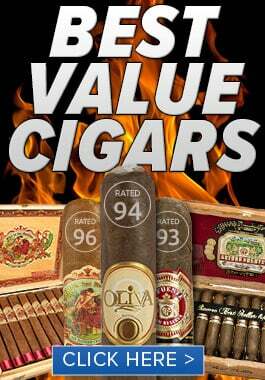 If you have a hefty spirit, try to select a blend that might offer a better complement like a Davidoff cigar. I have had some great pairing experiences following these steps. All in all, it comes to down to just enjoying the total experience. There is no right or wrong. 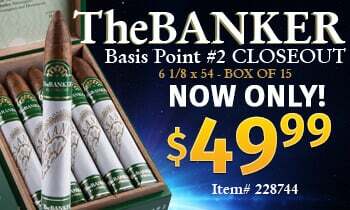 You may want to sit down and have a Coca Cola or a Miller Lite with your cigar. That’s totally fine. As long as you’re enjoying your time, that’s all that matters.